There are certain professions where if you don’t have a letterhead then people don’t trust you much, e.g. doctors. A letterhead is a must to present your profession, business or company professionally and there is no escape from it. 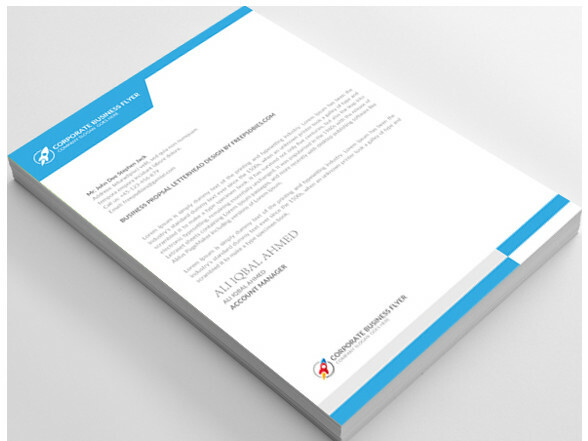 If you were searching for a letterhead template then you have come to the right place. I have spent pretty descent amount of time in searching and listing these free letterhead templates in this post for you people. These are not those regular letterhead templates which are available for free and has no soul. These are extremely professionally designed letterhead templates which can be used for different types of work streams. Some of the letterhead templates listed below are industry specific but others can be used for any possible purpose or industry as these are all highly customizable and you can edit them to meet your requirements. I would request you to bookmark this page because all newly released letterhead templates will be added to this very post. 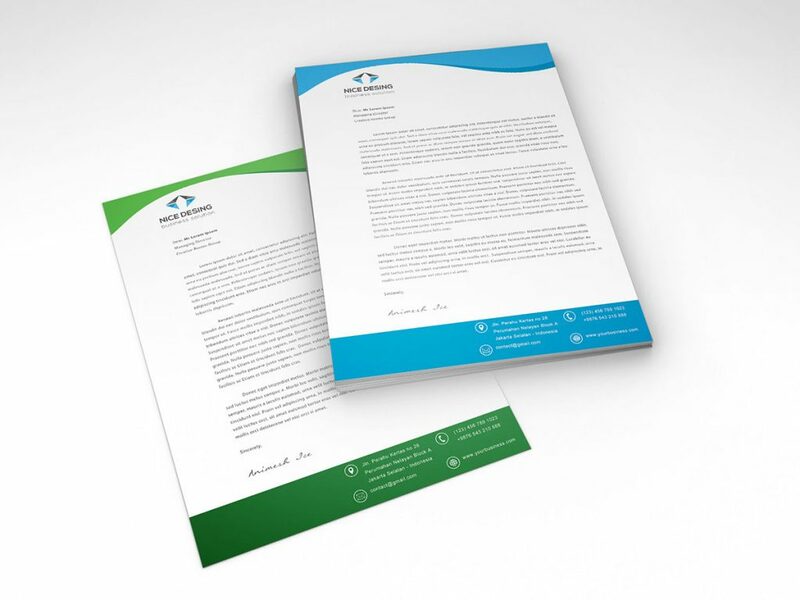 This post has been divided into two different sections; Free Letterhead Templates and Premium Letterhead Templates. 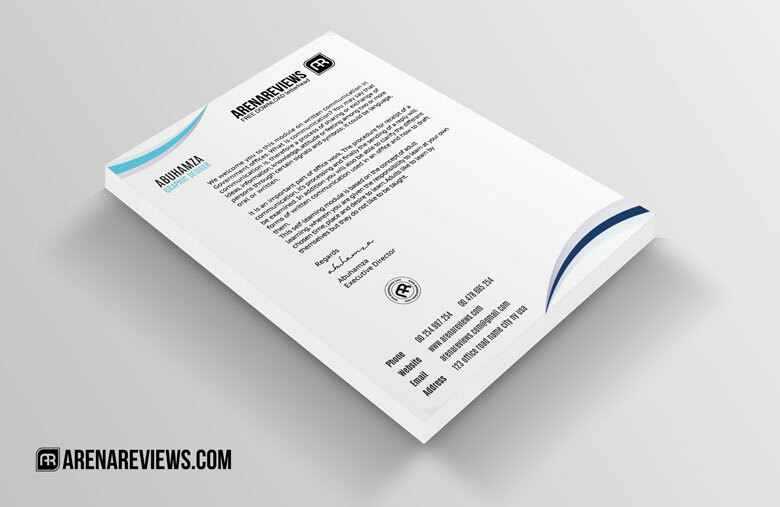 I think you should also look at the premium letterhead templates if you are not able to find a good free one. Important: The tools you need to open these files are Photoshop CS4, CS5, CS6 (Please see the help files included inside the download package), Adobe Acrobat Reader and Microsoft Word 2010 and later. The following section showcases all Free Letterhead Templates with downloadable PSD and MS Word files. But if you are looking for Premium Letterhead Templates then skip to the next section for Premium Letterhead Templates. 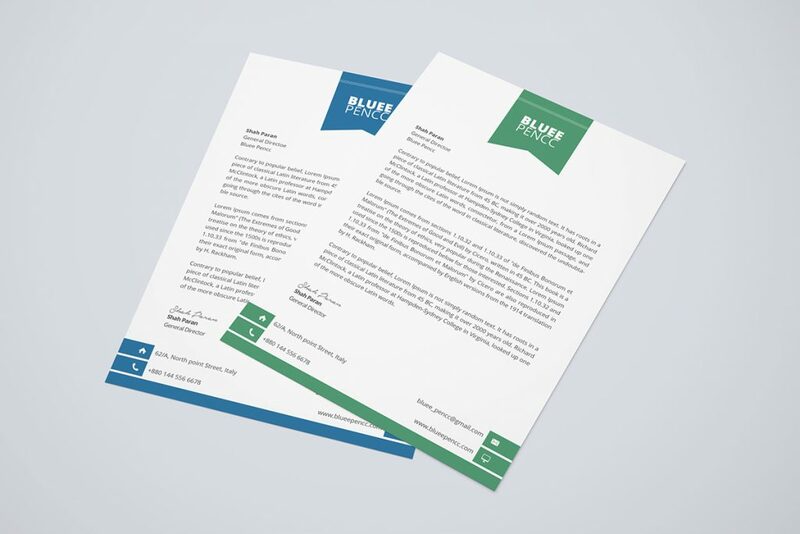 A simple and very professional looking free letterhead template which comes in three styles and with two color options. The template is pretty easy to edit and comes in international A4 paper sizes. 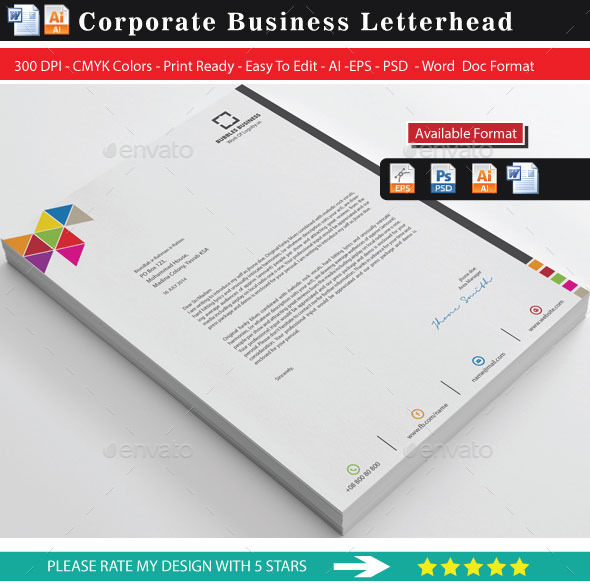 This is a free corporate letterhead template in Photoshop PSD format which has been designed in 8.5×11” dimensions with bleeds. This is a CMYK print ready letterhead template and available in three color options. This is a set of three different free letterhead templates as you can see in the screenshot below. This letterhead template has been designed using Photoshop CC and comes with three different PSD files, one for each letterhead template. 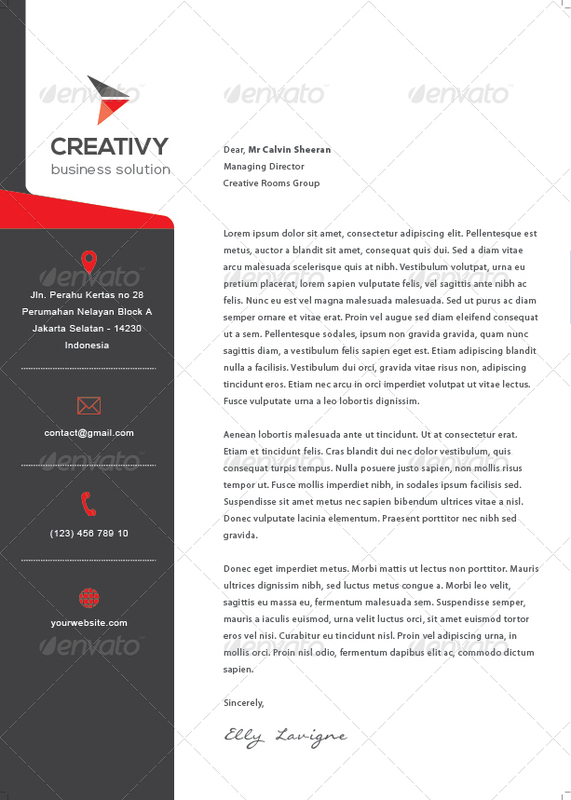 This is a free business letterhead template in Photoshop PSD file format. The template has been designed using 300 DPI and contains two CMYK print ready files. This is a pretty simple letterhead template design which has been created in Microsoft Word. 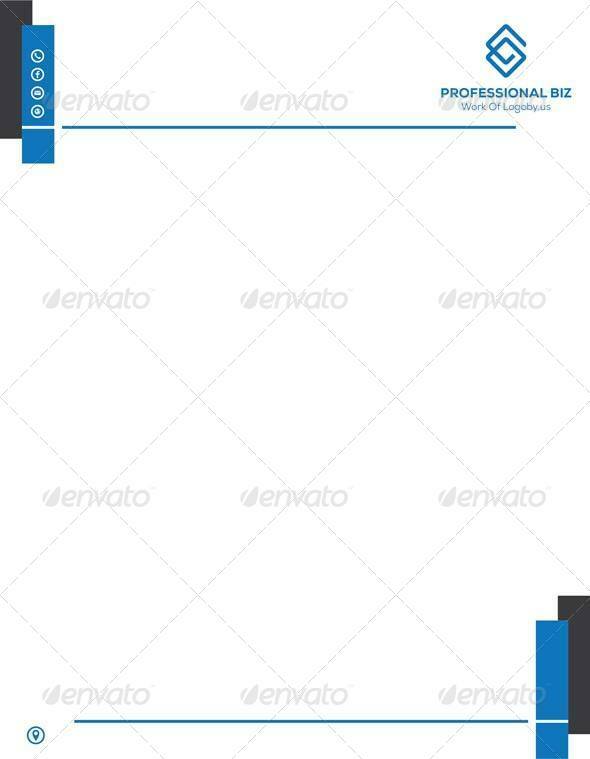 Though this is a free letterhead template but you cannot download it directly. In order to download this template, you need to send a request to the author via their Facebook page. you can find the Facebook details on the source page. Please click on the download button below for more information. 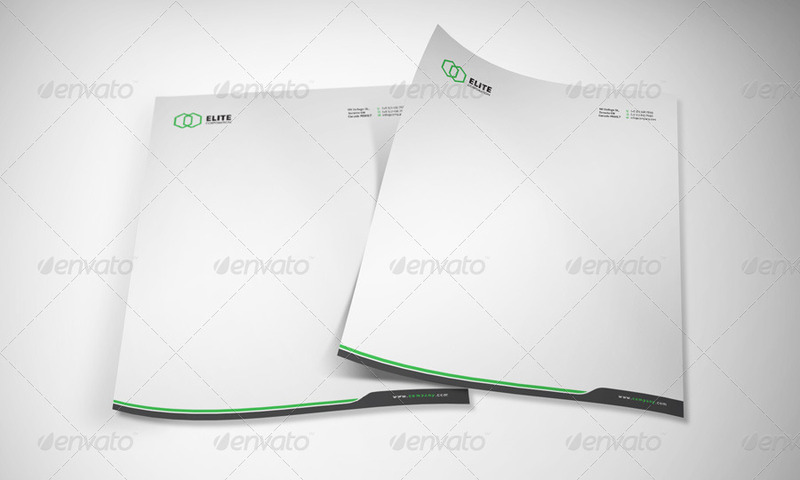 The is a “White Letterhead Template” which also comes in PSD format. The template is highly customizable and makes use of 300 dpi and has 2550* 3450 pixel display size. It is fully printable and can use CMYK settings on your printer. This is a great looking Free Letterhead Template in PSD format and yet again highly customizable because of all well-organized layers. The pixel size used to make this template is 2550 x 3450 along with 300dpi for sharp visuals. 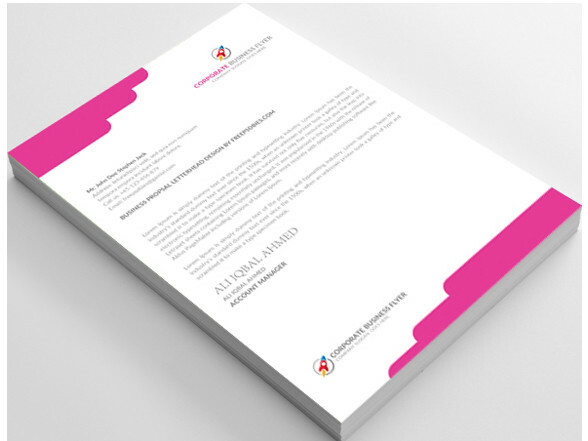 This is a print ready letterhead template which means, once you download it, all you have to do is change the company information and you are all set to print. A beautiful and exquisite Free Letterhead Template which is not only available in PSD but MS Word .Docx and .Doc formats too. The beauty is, the template comes with by default 3 different color options. Though you are not limited to these 3 colors only as you can easily edit the PSD to customize it as per your requirements and taste. The template is print ready, CMYK, A4 in size and uses 0.25 bleeds with 300dpi. This is another wonderful A4 Letterhead Template designed with vectors. The template is available in well layered and organized PSD file with proper bleed, trim and safe zone areas. 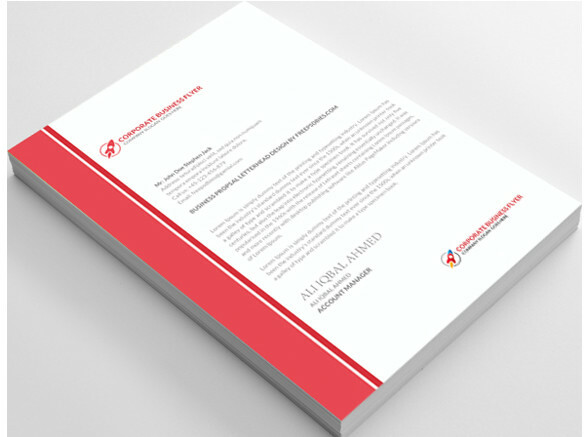 The template is available in 3 vibrant colors by default, but you are not limited to them as you can easily edit this highly customizable letterhead template in Photoshop. 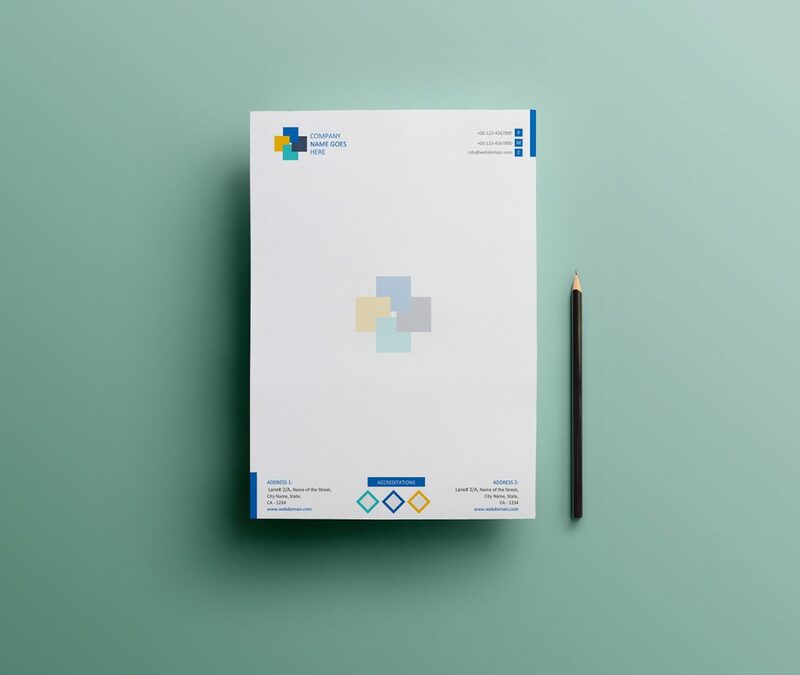 A fully editable, A4 sized, print ready with CMYK Letterhead Template in PSD format which comes again with 3 unique and corporate color options. 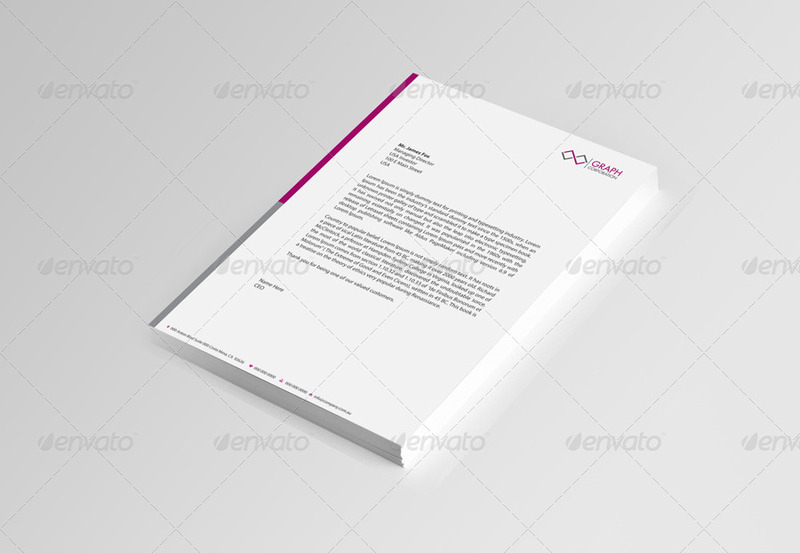 A very well suited letterhead template for small businesses and corporates. 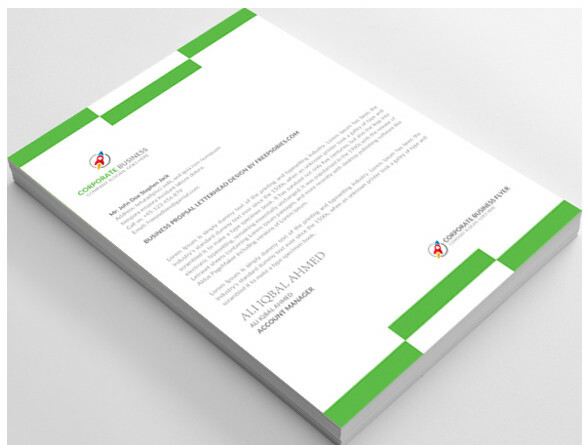 I don’t have to go through explaining all the features for this letterhead template as it follows and comes with all the design elements as above mentioned templates. 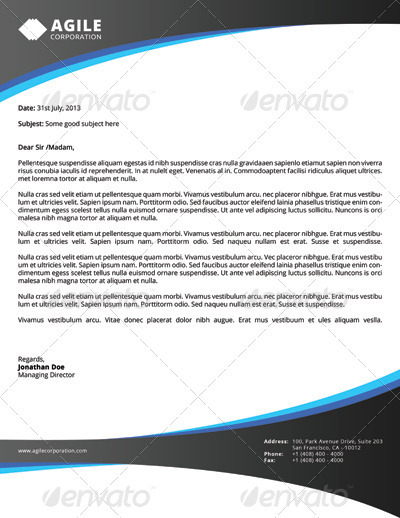 It is yet another Free Letterhead Template with goodness of all the rich Photoshop features. 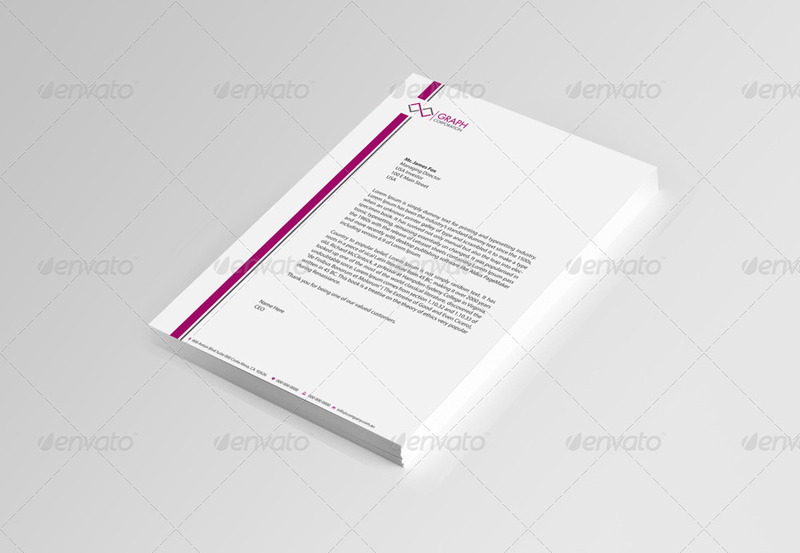 A simple yet beautiful and effective Free Letterhead Template which can be used by any business or company. The template has been designed in A4 size with 3 different color options and of course, fully editable too. It is available in a well-organized and fully layered PSD file. The template is print ready which means all you have to do is replace the text, logo, and slogan and you are ready to hit print. 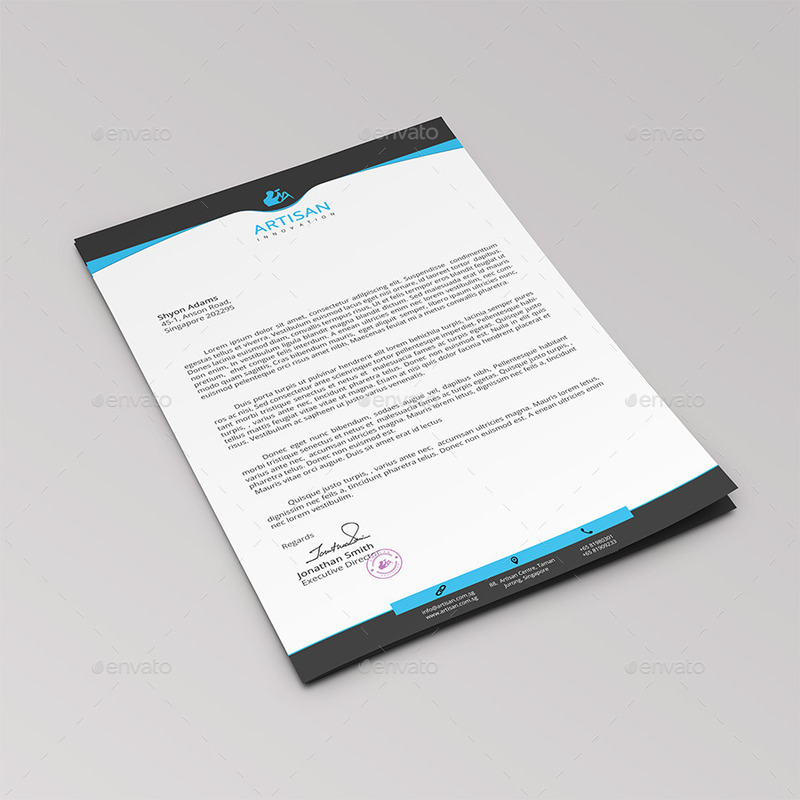 This PSD Letterhead Template has been specifically designed for doctors. The template has a very creative design and comes in 3 different medical color schemes. 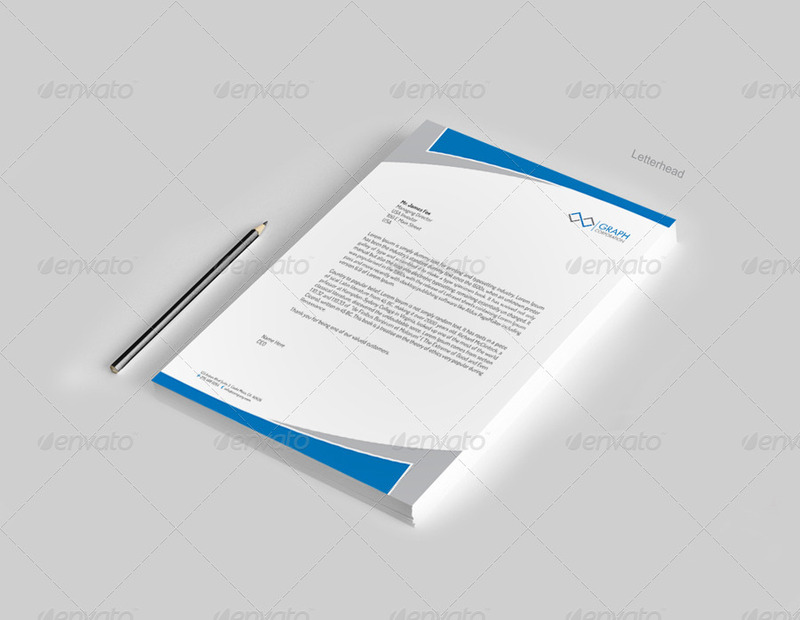 A pretty descent Letterhead Template for Telecommunications sector professionals. The template is available to download as a PSD file and the tool required to open this file is Photoshop CS5. As all the other Letterhead templates listed above, this one too is A4 sized and fully editable. 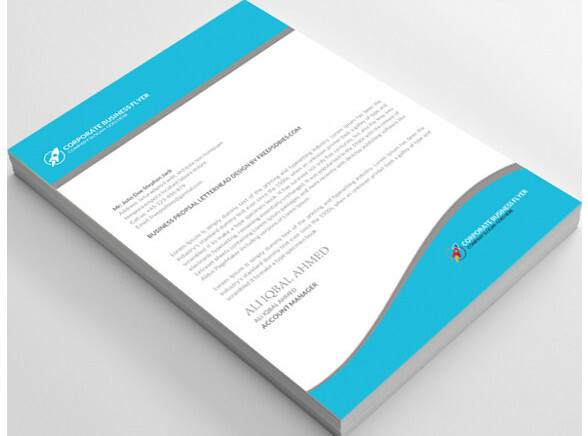 The following section showcases all Premium Letterhead Templates and as these are premium Letterhead Templates, there is a minimal cost associated with them. If you are looking for free Letterhead Templates, you can find them above in the Free Letterhead Templates section. 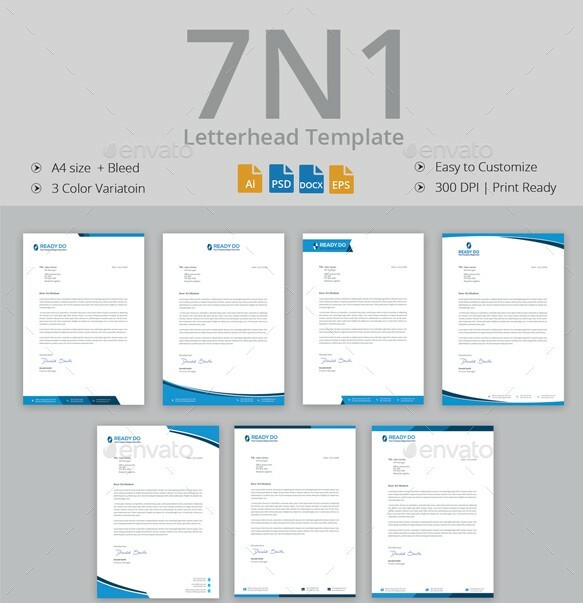 A bundle of seven professional multipurpose letterhead templates. 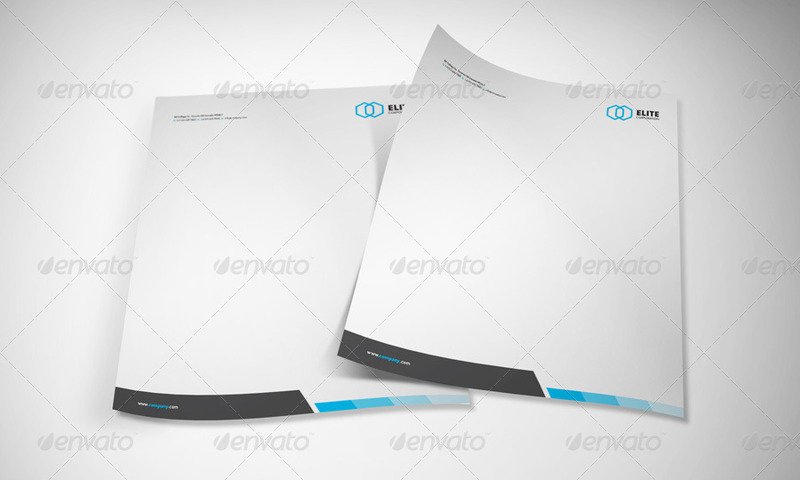 You can use these letterhead templates for any purpose. These templates are easy to customize and comes in AI, EPS, PDF and DOCx files. 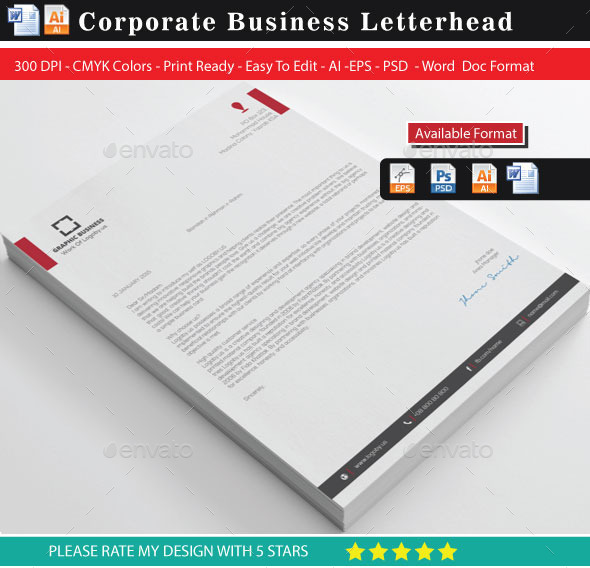 This is a corporate letterhead template set which contains 21 creative and clean letterheads. The layout of these letterhead templates is suitable for any kind of small business and entrepreneurs. 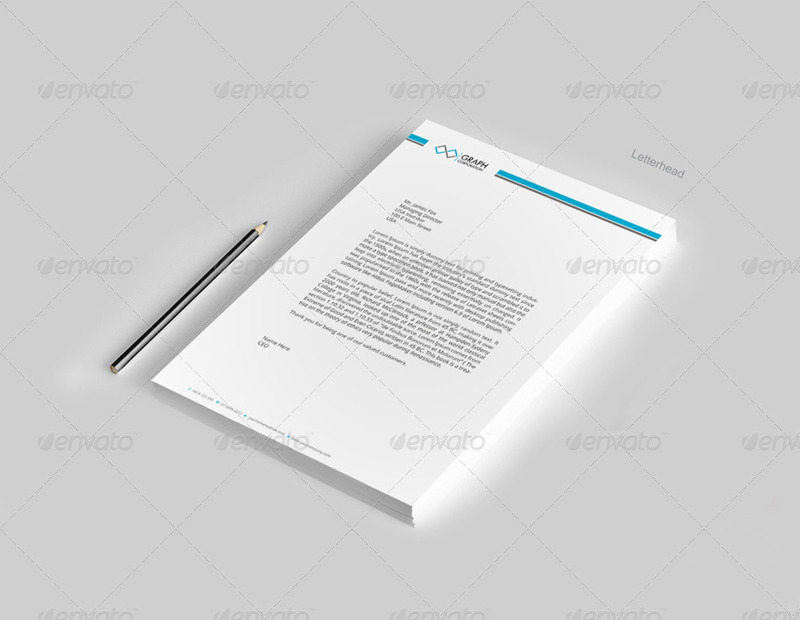 This is a corporate letterhead template designed specifically for corporates. These letterheads can be very easily customized with the help of smart objects and available in several color options. 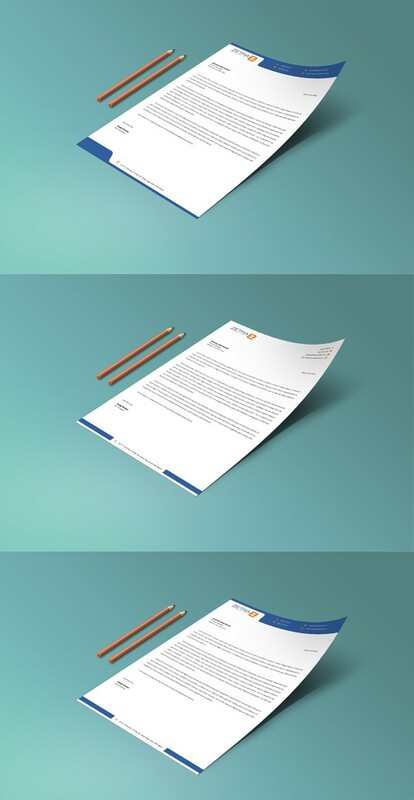 A very simple and unique letterhead template which can be used by all kind of businesses. It can also be used for personal purpose. 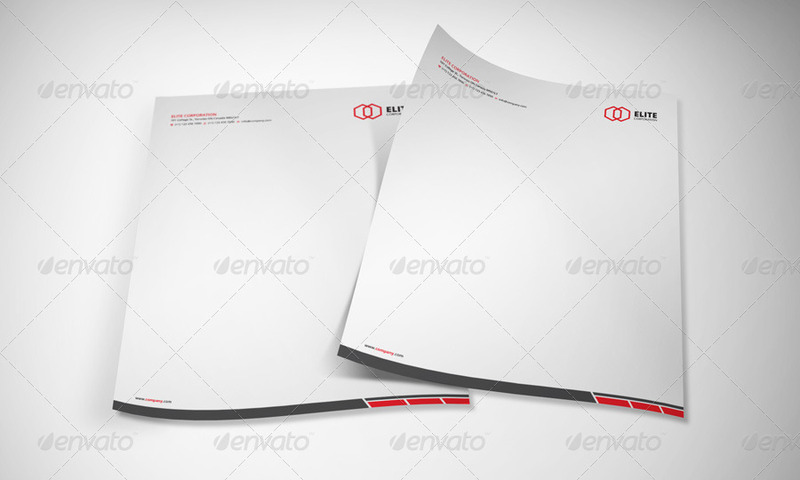 A beautiful set of 5 corporate letterhead templates. Though these are primarily designed for corporates but can be used by any kind of small business and entrepreneurs. 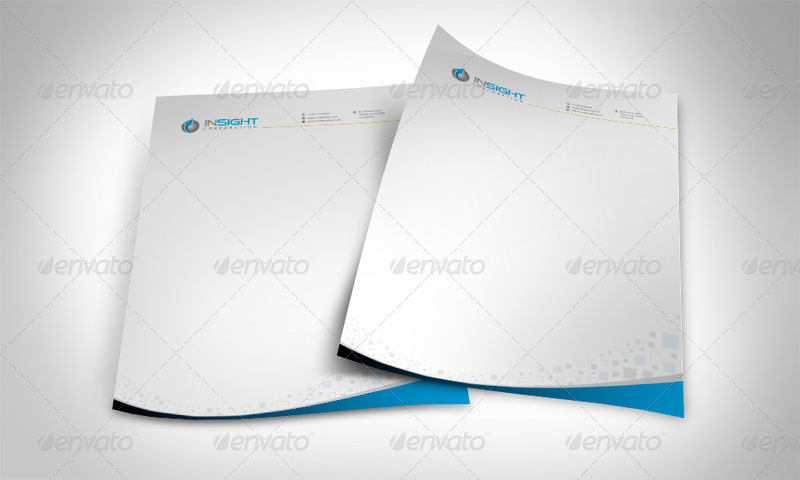 This is a premium letterhead pad template available in MS Word, AI, EPS, PSD, PDF versions. This template is 100% customizable and ready to print. It is designed for personal and corporate use. 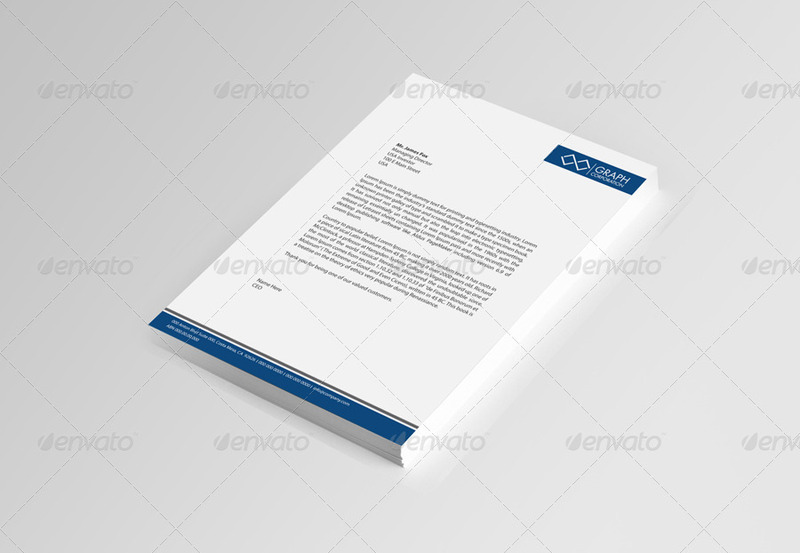 Another simple and professional letterhead template designed for business and personal use. The template is available in PSD, AI, EPS, DOCX & DOC formats and pretty easy to customize. 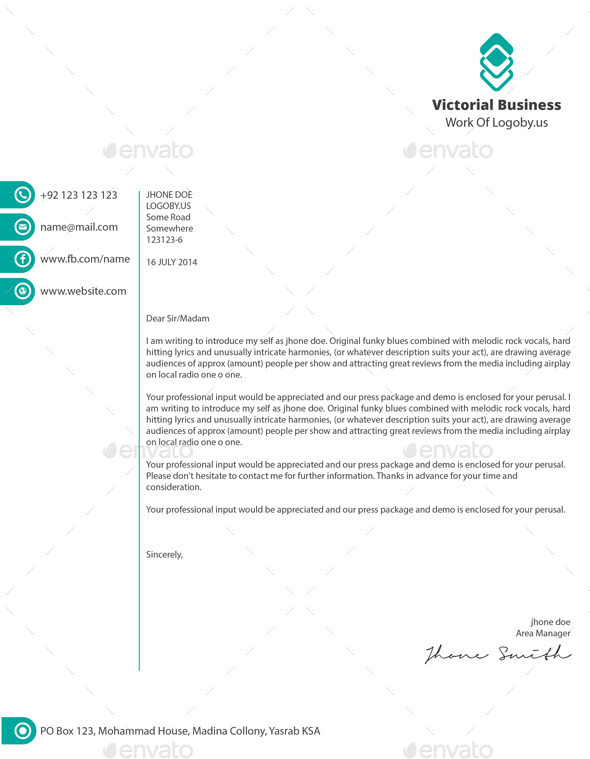 A modern and professional letterhead template for personal and business use. The template is also available in PSD, AI, EPS, DOCX & DOC formats. A modern letterhead template for personal and business use. The template is also available in PSD, AI, EPS, DOCX & DOC formats. 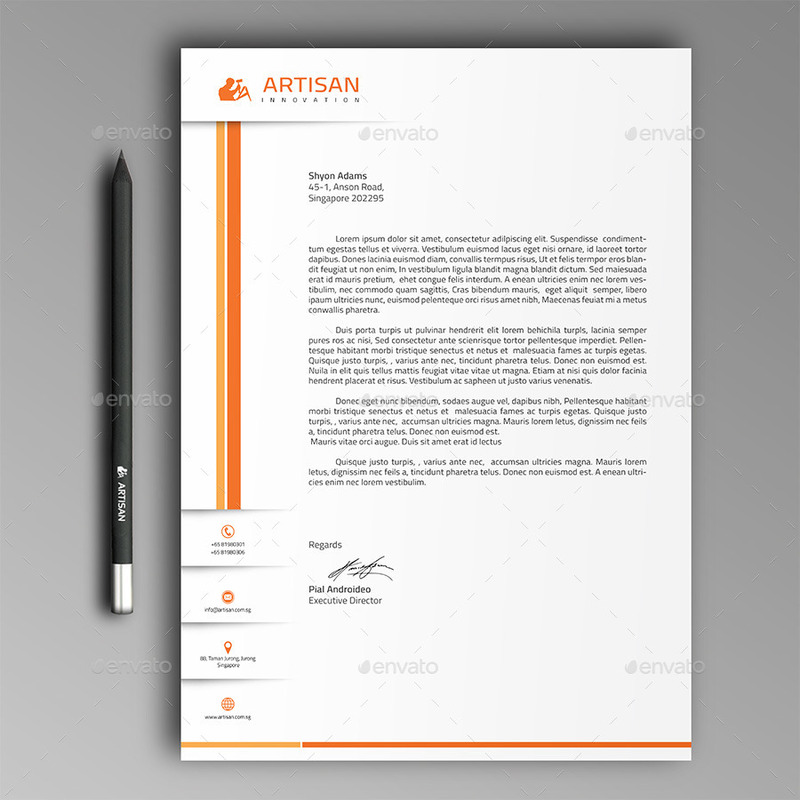 Be letterhead template comes in 3 color options and suitable for any project purpose. It is very easy to use and customize. 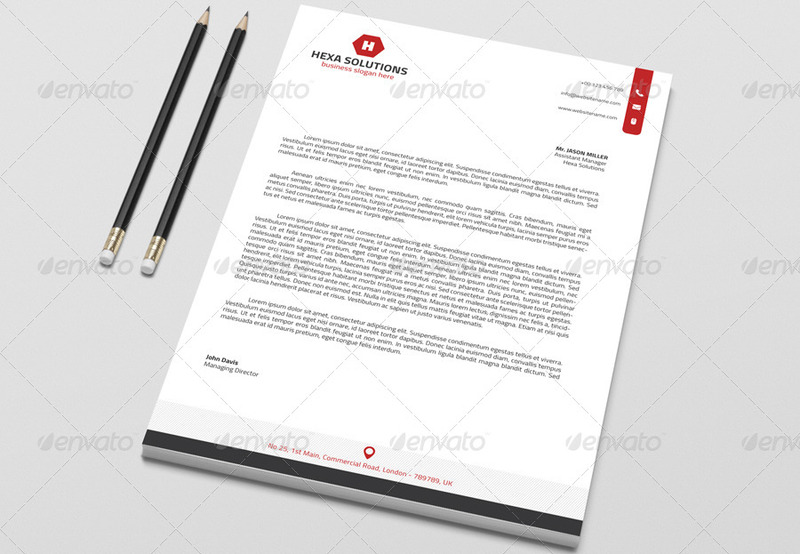 A multipurpose letterhead template with a modern, clean and professional design. The template is available in PSD, AI, INDD, IDML & DOCX formats and very easy to edit. 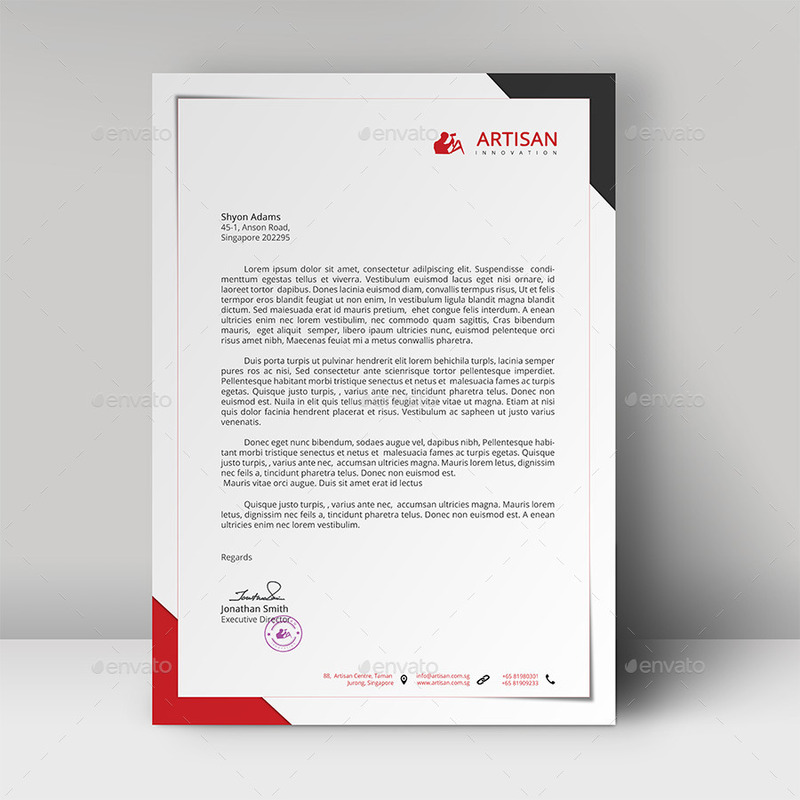 A corporate letterhead template available in Adobe Ilustrator AI and Microsoft Word versions. A really decent letterhead template and can be used not only by corporates but also by small businesses. 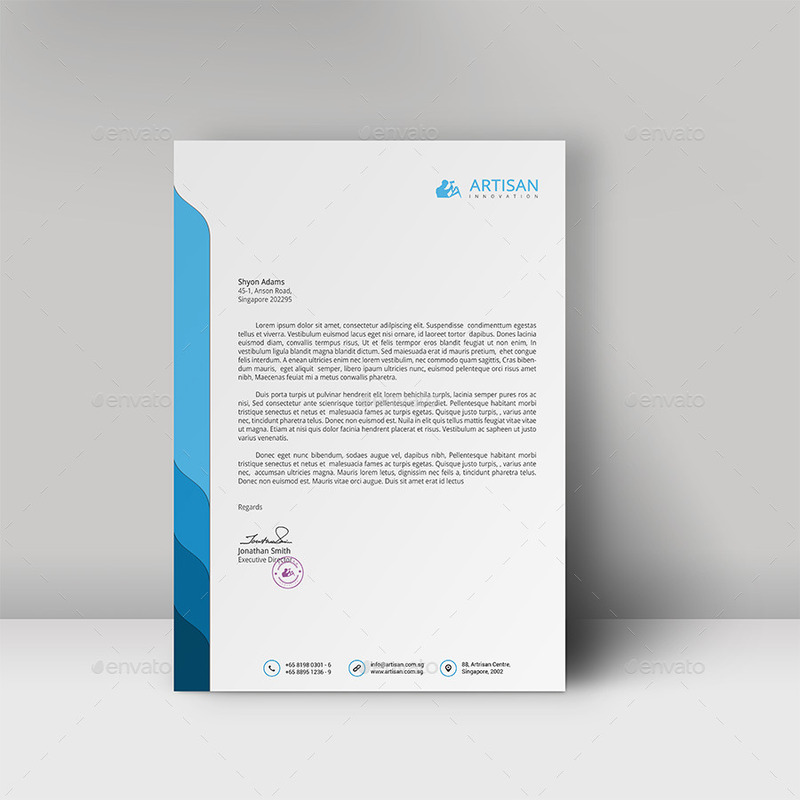 This letterhead template has a very modern and creative design and best suitable for businesses in the same field like creative and design solutions etc. A very unique and clean letterhead pad template with multi color options and available in Adobe Photoshop and Microsoft word versions. 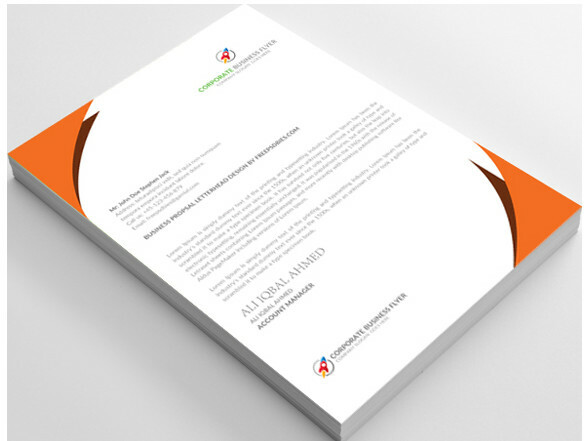 A colorful business letterhead template with such a versatile design that it can be used for home, home agency, home financial, home finding, house, living, market, price, property, rate, real estate, reality, rent, sale, villa, office, official usage, graphics, fabrics, telecommunication, business development, agencies, mobile companies, and much more. It can also be used for businesses that are related to some how fashion design, dresses, medicine, shoes, stores, online stores, simple, colorful, stationery work. The template is available in EPS, AI, PSD, Word doc formats. This letterhead template has the same qualities as the one listed just above this. It just has a little variation in its design but perfectly suitable for the same businesses or purposes as the one listed above. A great and simple letterhead template designed using 100% vector shapes for EPS. It is also available in AI, PSD and MS Word. A clean and creative corporate letterhead template which can be used for any purpose, be it corporate or personal and comes with 4 different color options. The template is very easy to edit and available in MS WORD, AI and EPS formats. 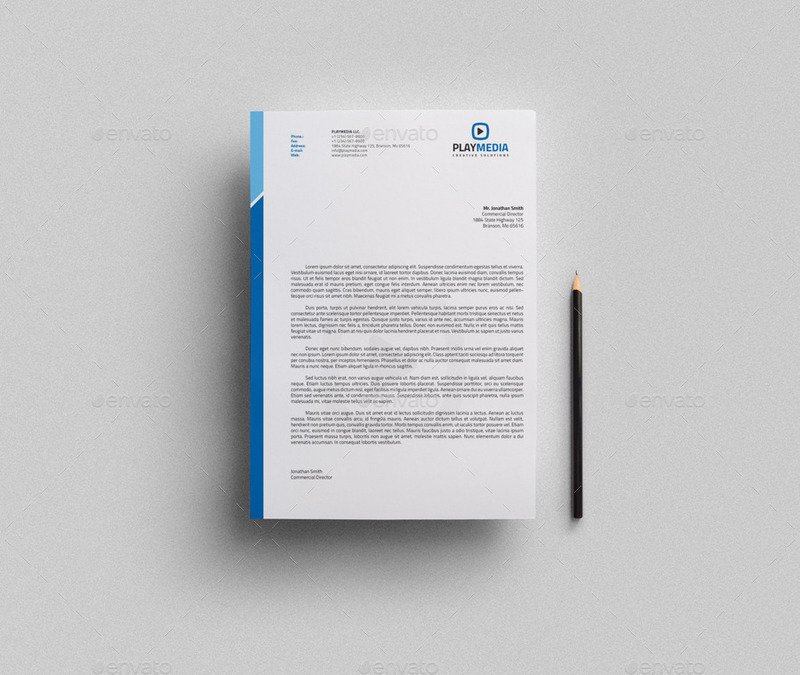 A clean corporate letterhead template which can be used for any purpose, be it corporate or personal and comes with 3 different color options. The template is very easy to edit and available in Ms-Word, Illustrator AI, EPS, Photoshop PSD formats. A corporate letterhead template primarily designed for corporates but can also be used for personal use. The template comes with 3 color options and available only in AI format. A bundle of letterhead templates to save you some money. you get 3 different designs in this bundle and all of these templates can be used for variety of purposes like home, home agency, home financial, home finding, house, living, market, price, property, rate, real estate, reality, rent, sale, villa, office, official usage, graphics, fabrics, telecommunication, business development, agencies, mobile companies, and much more. The templates are available in EPS, PSD, AI and MS Word formats. 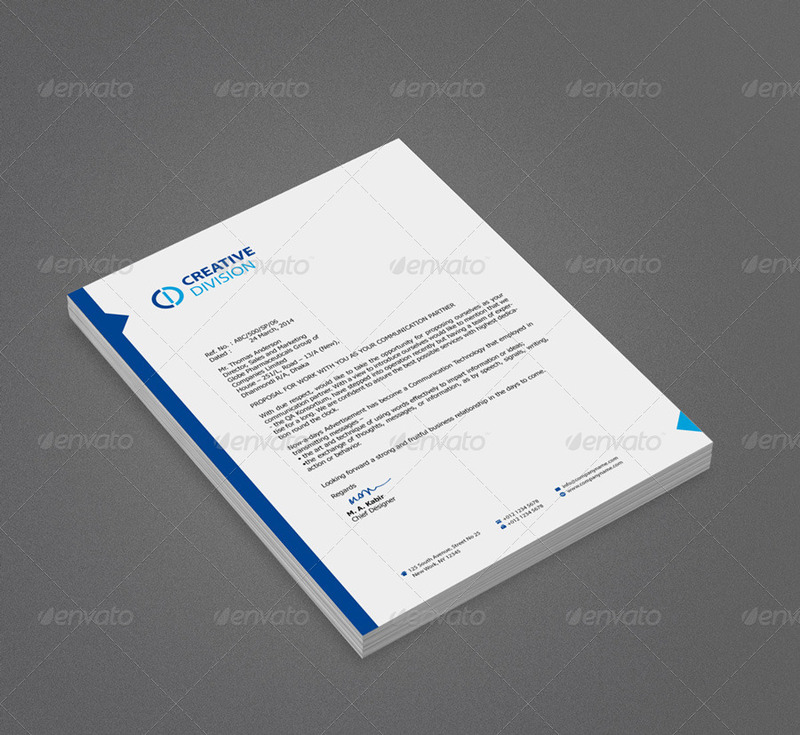 A multipurpose letterhead template available only in Photoshop PSD and MS Word formats. 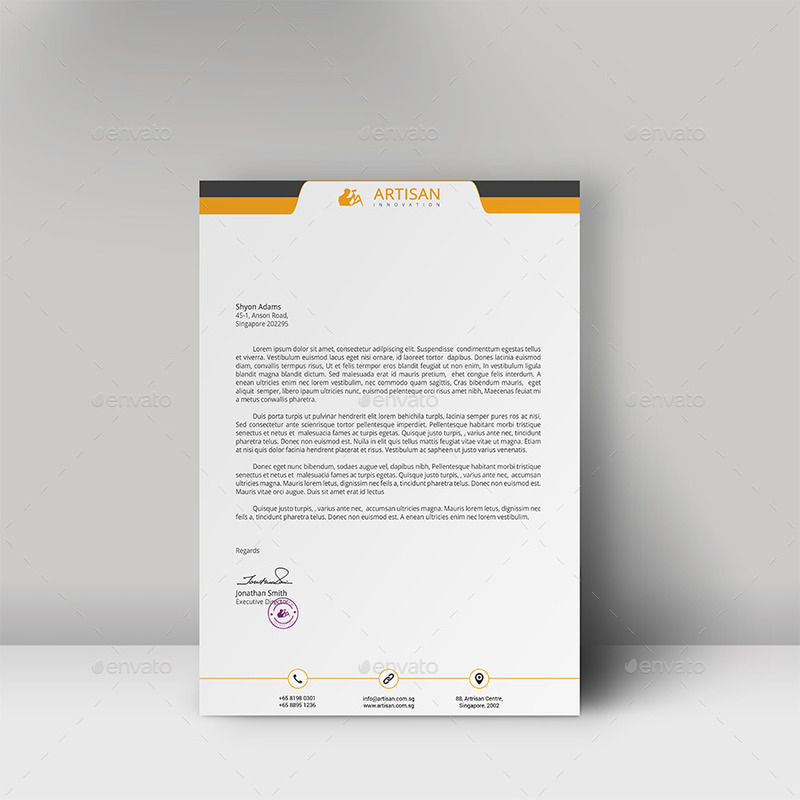 A corporate letterhead template which comes with 4 different color schemes and stylish design elements. You can easily change the logo, contact information and color of the element in just one simple click. It can be used for both personal and business purposes. 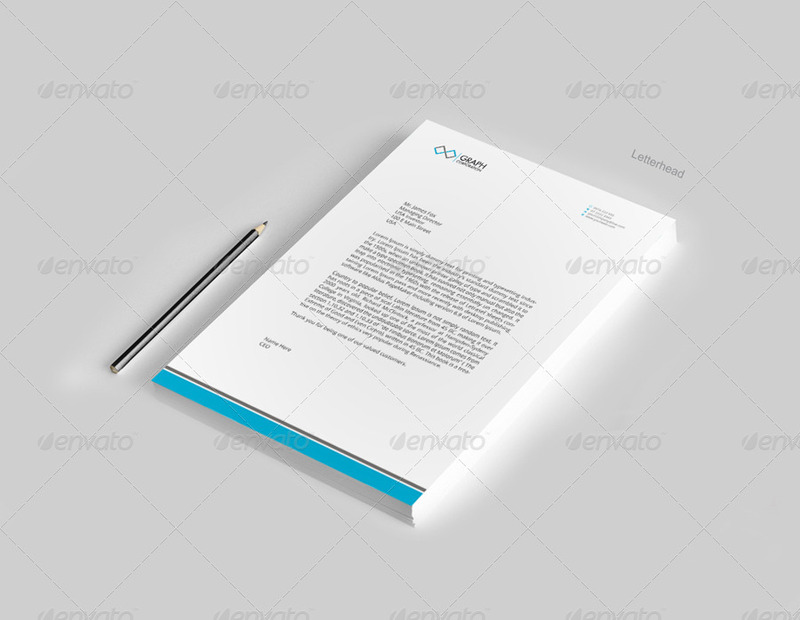 This clean corporate letterhead is a set of 8 letterhead templates. 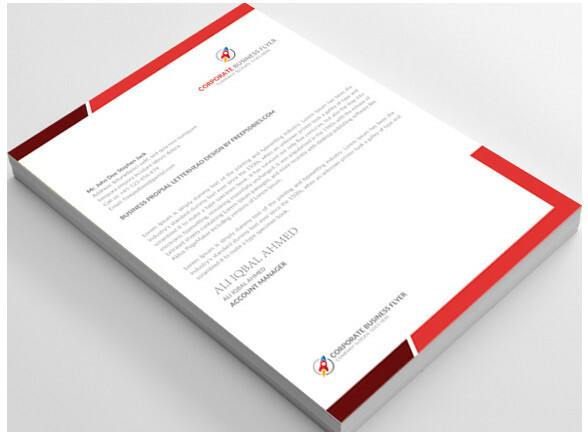 The layout of these letterhead templates is suitable for any kind of corporate businesses, small businesses and also entrepreneurs. These are easy to customize, even in Microsoft Word. The template comes in AI, EPS, Microsoft Word and Photoshop PSD formats. Another very professional and clean letterhead template specifically designed for corporates. This is a clean and simple letterhead template which can be used by corporates and small businesses. The template is available in Photoshop PSd, AI and EPS formats. A beautiful multipurpose letterhead template designed in Photoshop PSD and MS Word. The template is really simple, easy to edit and can be used for any purpose. 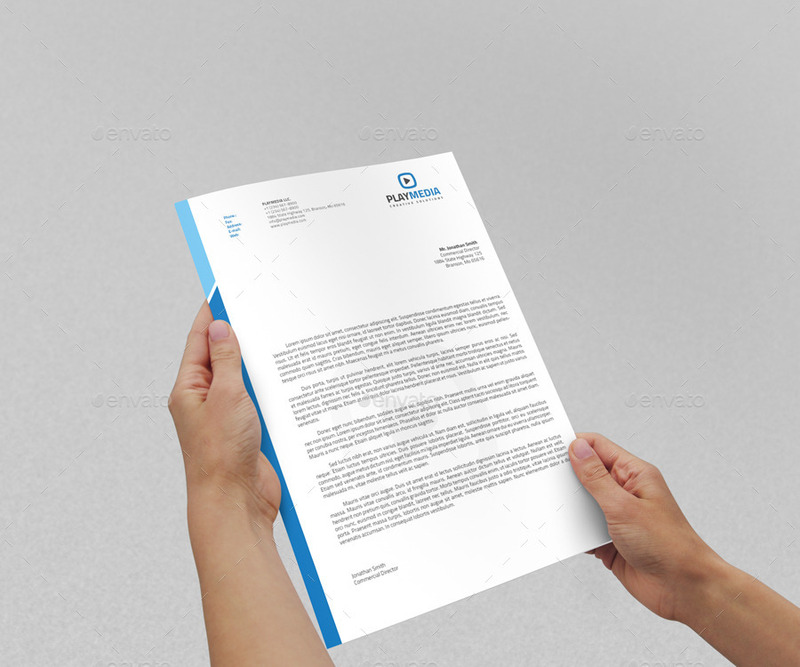 A highly professional corporate letterhead template with some simple yet stylish design elements. The template is available in AI, EPS, PSD, DOCX and DOC formats. 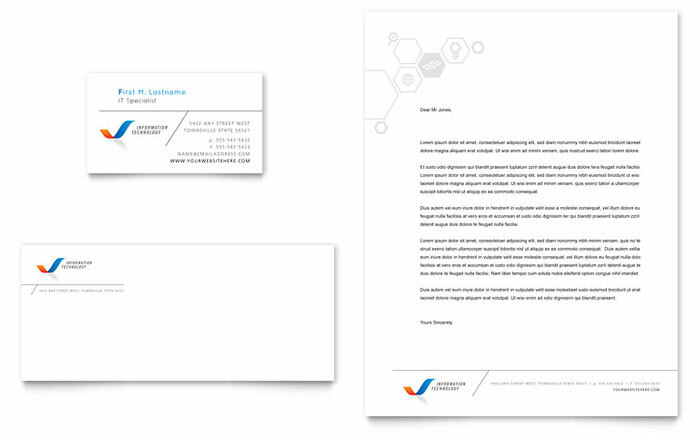 An extremely simple letterhead templates for corporates. It is available in Photoshop PSD and MS Word. A bundle of letterhead templates to save you some money. you get 7 different designs in this bundle and all of these templates can be used for any purpose. At this price, this is a real steal. A simple and clean letter template which comes in Photoshop PSD, MS Word and PDF formats. This is the paid version of a free letterhead template listed in this post under the free letterhead templates section. A very minimal yet creative letterhead template best suitable for creative field businesses like graphic design studios etc. The template is 100% ready to print and available in AI and EPS formats. Another simple and unique letterhead template for all kind of businesses and personal purpose usages. Available in PSD, AI and EPS formats. 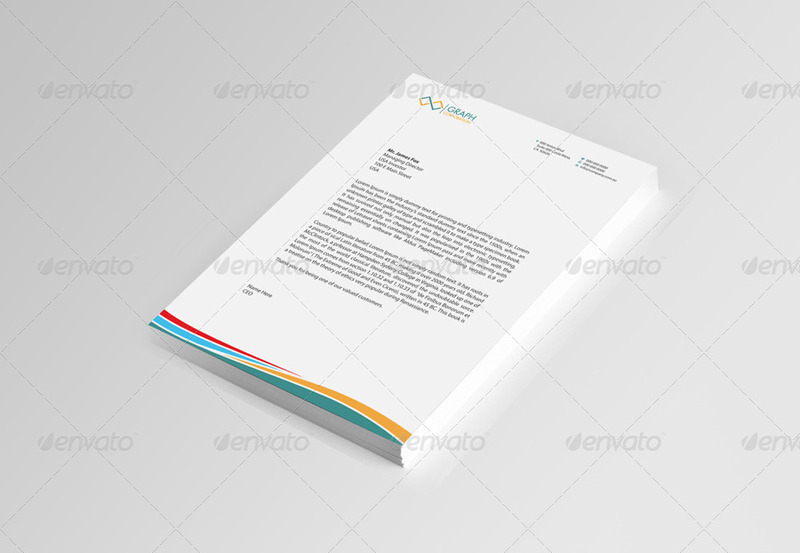 A simple corporate letterhead template with a simple and pretty decent design with multiple color options. A simple unique letterhead for all kind of business and personal purpose usages. 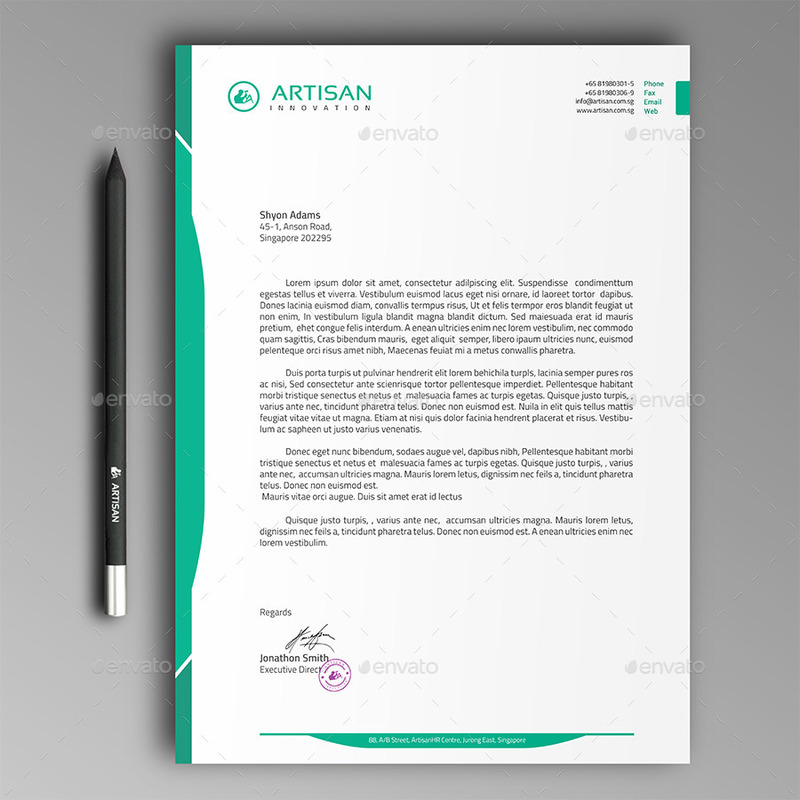 A creative letterhead template for all kind of business and personal purpose usages. 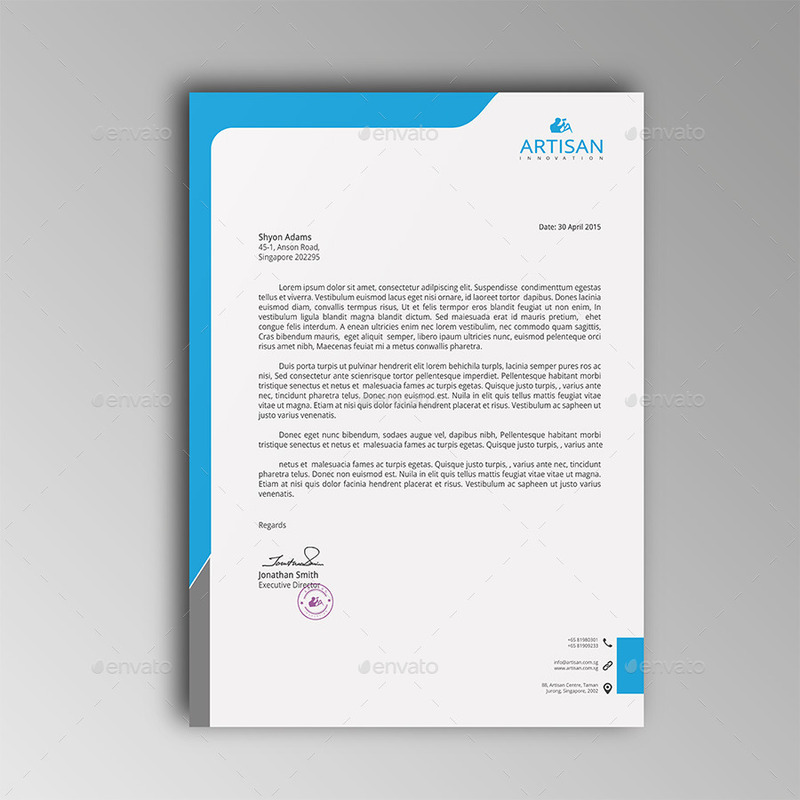 This letterhead template is suitable for any project purpose (specially luxury business and big marks letterhead). Thanks a lot for these letterhead designs. These are really great and worth downloading. God Bless You! Loved the third one in the list. Super Awesome post. Really good stuff. Hard to believe that these are free letterhead templates. 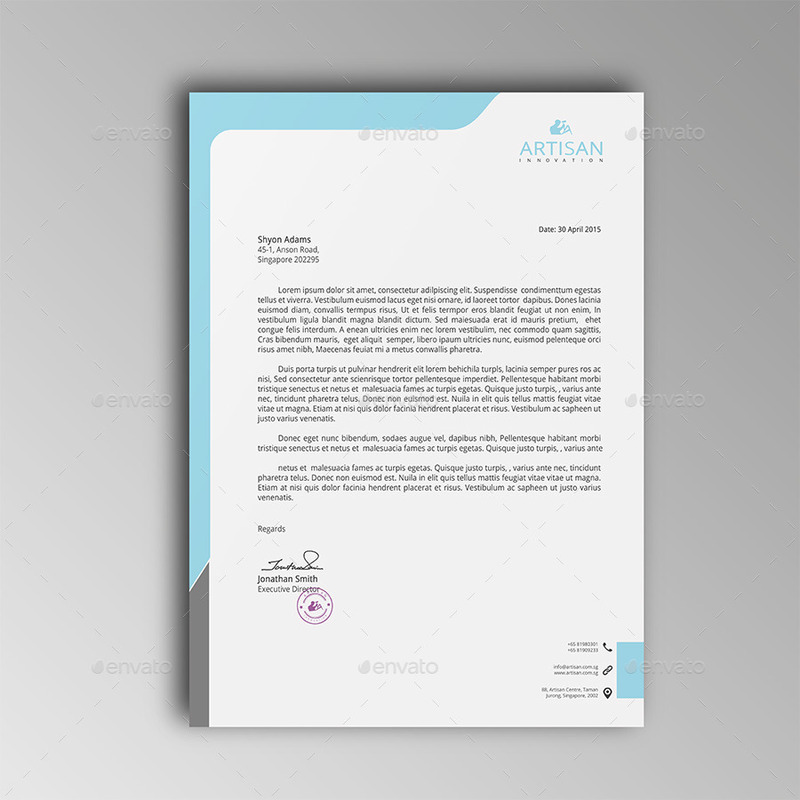 Thanks for sharing these beautiful letterhead templates Pankaj. These are really helpful. Great collection of letterhead template. downloading now. fantastic post. i love the premium collection much though. Thanks Brenda. Yes, the premium letterhead templates are my favorite too. 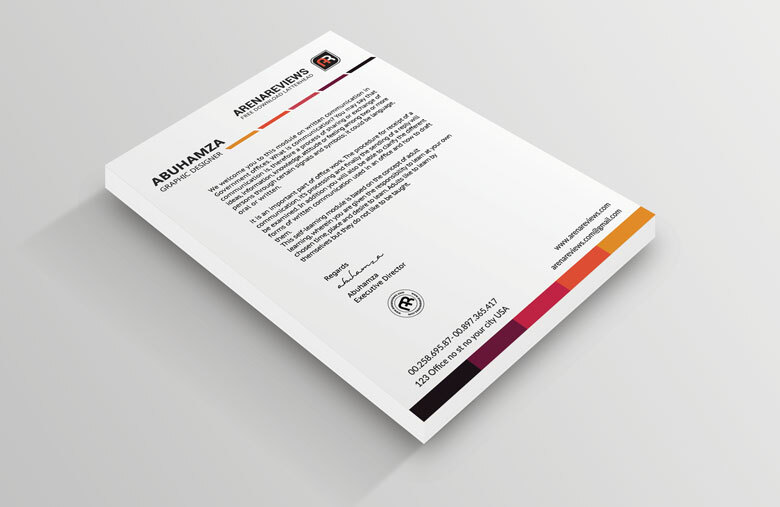 Thanks Pankaj for such a wonderful post on letterhead templates. Thanks Jennifer. I am glad that you liked it. I am happy that I found this post. really great letterhead templates. Thanks Aarif. I am glad that u liked it.